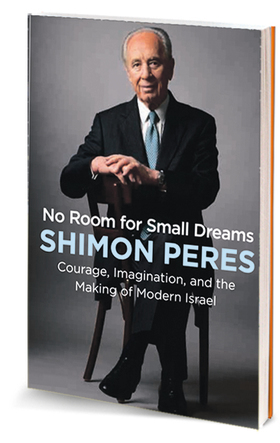 A month before passing away, Shimon Peres completed the writing of an autobiography that provides a rare glimpse behind the scenes of some major chapters in Israel’s history and his own: from the construction of the Dimona nuclear reactor to Operation Entebbe, his secret meeting with King Hussein in Jordan and his lifelong passion for innovation. The mustachioed man entering Raghadan Palace was flanked by two assistants. He seemed younger than his seventy years and the hat he donned concealed his graying hair. 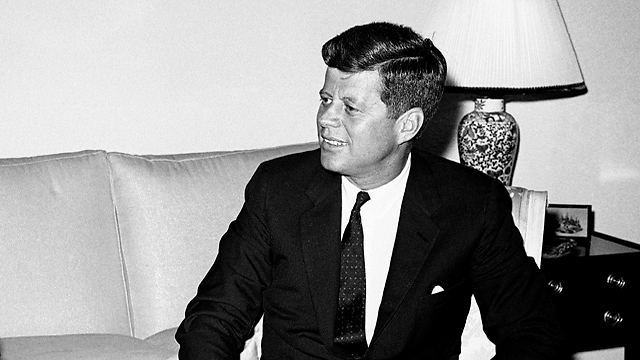 His visit with Hussein, then King of Jordan, was kept in total secrecy. The man was an Israeli, and in those days—November of 1993—the two countries hadn’t yet established diplomatic relations. In fact, officially, they were still in a state of war. 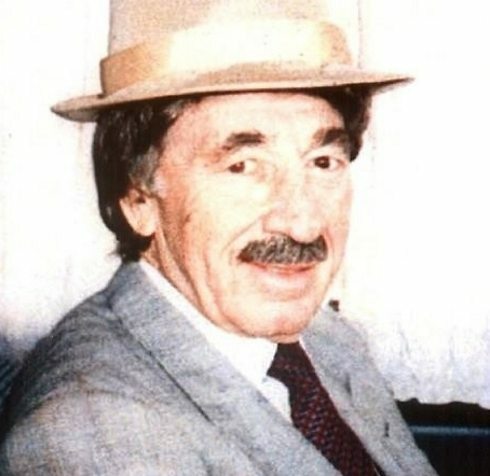 The fake mustache and hat made it hard to recognize one of the most recognizable Israelis in the world: Shimon Peres, who was then the foreign minister. His assistants were deputy Mossad director Efarim Halevy and Avi Gil, his chief of staff. “I couldn’t help but laugh as I glued the mustache to my face,” wrote Israel’s former president in his autobiographical book titled No Room for Small Dreams, which will published in Israel and around the world this month to mark the one year anniversary of his death. “I thought back to the sunglasses we put on Moshe Dayan to hide his eye patch; of the wide-brimmed hat we affixed to Ben Gurion’s head to hide his characteristically chaotic white hair. How many times in my life had we put on such silly disguises in pursuit of something that others were certain was impossible? These were some of the very best memories of my relative youth. And knowing at seventy that I was still in the fight, still battling for the future of Israel, gave the mustache a certain power. I looked like an actor in a low-budget stage show, but I felt like the tip of the spear,” Peres wrote of his meeting with the Jordanian king. Peres dons mustache and fedora to visit Amman for peace talks with Jordan. This meeting, however, in a royal palace overlooking Amman’s old city, was not the pair’s first. Seven years prior they had secretly convened in London. 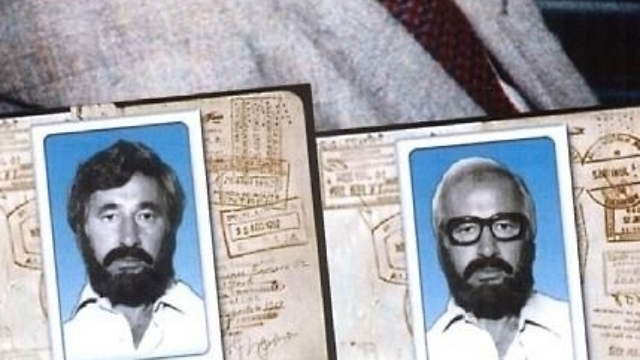 Peres reveals some of his disguises. A year later, on October 26, 1994, that view became a reality. In a festive ceremony held in the Arava valley near Eilat, in front of then US President Bill Clinton and 5,000 other guests, King Hussein and Prime Minister Yitzhak Rabin signed the historic peace accord between Israel and Jordan. Ayelet Frish, who worked alongside Peres for more than a decade, served as spokeswoman during his tenure as Israel’s president and now serves as the director of the Innovation Center at the Peres Center for Peace and Innovation, said Peres flatly refused to pen an autobiographical memoir for years. The goal then became publishing the book in as many languages as possible. “We wanted to reach young executives in China and the leaders of the future in Africa,” Frish said. It was precisely for that reason the book was written in English, and will be published early next week by HarperCollins, one of the world’s largest book publishers. There are also talks on translating it to dozens of other languages, including Arabic. “Even the Mongolian foreign minister has already asked for a copy,” Frish said. This attitude is also reflected in the story of the creation of the Dimona nuclear reactor, to which an entire chapter in the book is dedicated. The vision was David Ben-Gurion’s. The application was placed in the hands of scientists, headed by Professors Ernst David Bergmann and Israel Dostrovsky, and the men of execution, chiefly Emmanuel (Manes) Pratt. 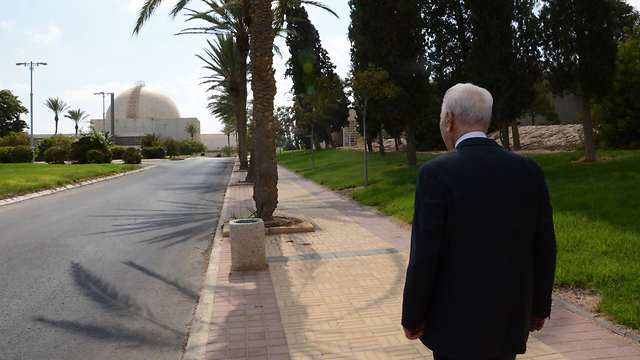 No person is more synonymous with the Israeli nuclear project, however, than Shimon Peres. As director-general of the Ministry of Defense and then deputy minister, he was entrusted with the country’s most ambitious—and secretive—project, accompanying it every step of the way: from the complex and sensitive negotiations with the French, who gave the reactor to Israel, through raising the immense funds required to provide Israel with its nuclear deterrence, and ending with locating, training and guiding the reactor’s scientists and administrators. To make this project a reality, Ben-Gurion and Peres were forced to handle not only France’s inner political turmoil, which almost thwarted the deal, but also fierce objections from within Israel’s own ranks. One of the project’s most critical phases was fundraising. “We took to the phones and made passionate, personal (and highly confidential) appeals to some of Israel’s most reliable donors from around the world. In short order, we had raised enough money to cover half the cost of the reactor—more than enough to start building our team,” the former president wrote. After raising the funds for the Dimona project, the time came to find the right people to actually staff it. “We were lucky to count Israel Dostrovsky as one of our early members,” Peres wrote in his memoir. “A decorated Israeli scientist, Dostrovsky had invented a process for manufacturing heavy water and sold it to the French years earlier. But even he could not compete with the brilliance of Ernst David Bergmann, whom I approached to join the mission. In 1934, legend had it that Chaim Weizmann sought Albert Einstein’s recommendation for a scientist to lead his newly created institute outside Tel Aviv. Einstein gave him only one name—that of Ernst Bergmann. That one man was Col. (res.) Emmanuel (Manes) Pratt. “We met during the War of Independence, when we worked together on the frantic building up of the IDF,” wrote Peres about Pratt. “He was consistently and insistently precise, the kind of man for whom perfection is not a distant pursuit, but a minimum ante. He was quickfooted and quick-witted, and he demanded in those around him the same relentless work ethic he practiced. “‘Manes, look: I know that you don’t know anything yet. 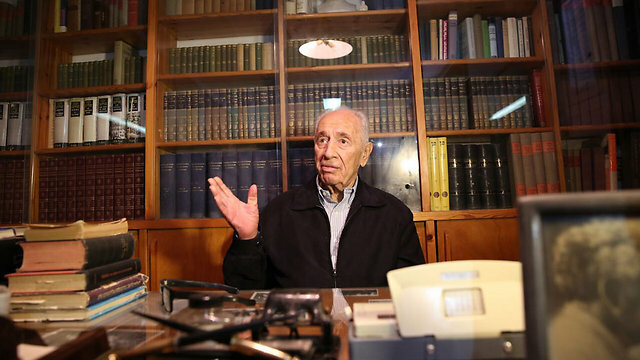 But if there is somebody in this country who can become an expert after studying it for three months, that person is clearly you,'” Peres said he replied to the bewildered administrator. “I suggested that we would send him to France for three months to study nuclear reactors alongside the experts who would help us build one. And I promised that if he returned to Israel after that time still uncomfortable with his fluency in the topic, he could simply return to his previous work. With no requirement for a permanent commitment, Pratt ultimately agreed. And to no one’s surprise, when he returned from France, he did so as the finest nuclear expert we would ever come to know. “With the leadership in place, I turned to the work of building the rest of the team. I knew the older generation of physicists was deeply opposed to our efforts, but I suspected we could find students and young graduates who were eager to pursue such an ambitious project. Having been turned away by the Weizmann Institute, I turned to the Israeli Institute of Technology, in Haifa, known as the Technion. There I found a group of scientists and engineers who were eager to take the leap alongside us. Like Pratt, I intended to send each Technion recruit to France for a period of study. In the late fifties, Peres decided to take center stage at last and ran on Mapai’s Knesset ticket. 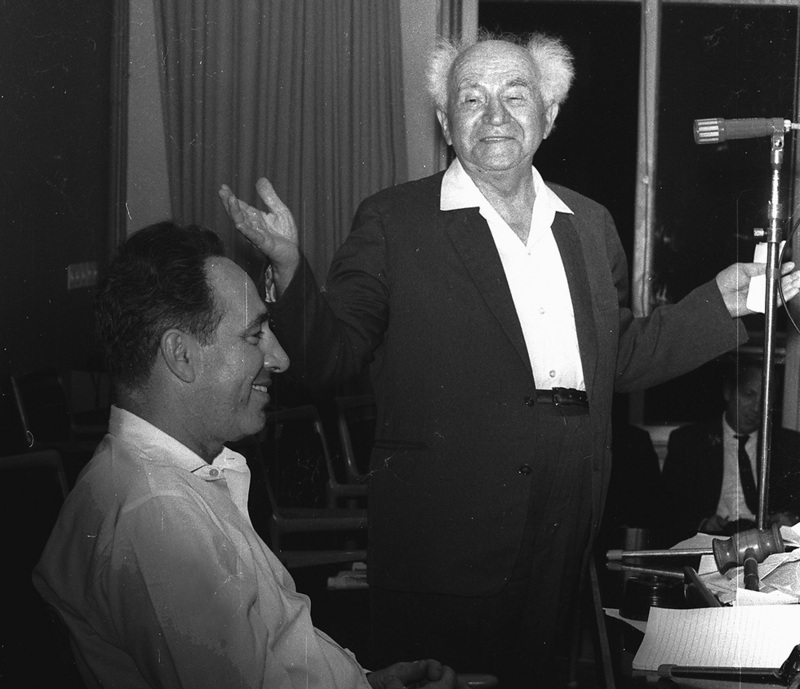 After receiving Ben-Gurion’s blessing, on November 3, 1959—at age 36—he began his first political office, ascending to the role of deputy minister of defense. “By the summer of 1960, the Dimona project had moved forward apace,” reminisced Peres. “France was upholding its end of the agreement, and the French and Israeli workforce had broken ground on the barren plateau. That September, I was in West Africa on orders from Ben-Gurion, as part of an effort to build stronger ties between Israel and the broader continent. But the trip was cut short. I received an urgent cable, ordering my immediate return to Israel. There was no indication of what the emergency entailed. “When I arrived at the airport in Tel Aviv, Isser Harel, the Mossad chief, was waiting with Golda Meir in a helicopter nearby. We barely spoke on the ride to Sde Boker, where Ben-Gurion was awaiting Harel’s report. “‘Explain the situation,’ Ben-Gurion demanded as we gathered in his sparse and humble ‘hut.’ Harel relayed two pieces of intelligence. First, Mossad had learned a Soviet satellite had recently flown over Dimona and photographed the construction site. Second, they received word the Soviet foreign minister had made an unexpected visit to Washington. In his estimation, these two facts were linked—and damning. He was concerned the Soviet government would claim our work in Dimona was nefarious, that their foreign minister had likely demanded US intervention while in Washington. Israel, it seemed, was about to be confronted by the world’s only two superpowers. “‘What is your recommendation?’ Ben-Gurion asked of the group. Harel believed Golda—or even better, Ben-Gurion himself—should fly to Washington at once and give assurances to the White House. Golda agreed, believing the situation to be dire, perhaps insurmountably so. I listened intently and sympathized with their concerns, but when Ben-Gurion asked me my opinion, I had to be honest. “‘So what if a Soviet satellite has flown the Negev? What has it photographed? Just holes in the ground,’ I explained. We were still in the first stage of the project, an extensive excavation followed by the laying of concrete foundation. ‘What can be proved from that?’ I asked. ‘After all, every building needs foundations,” Peres remembered he said in the meeting. “If Ben Gurion flew to Washington and revealed the work we had undertaken, it would destroy our relations with the French,” he concluded. Ben Gurion is said to have concurred. Just three short years later, Peres found himself standing in the Oval Office opposite US President John F. Kennedy. 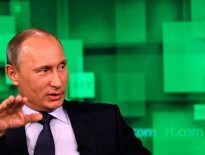 “I had traveled to Washington to conclude a deal for the purchase of antiaircraft missiles from the US government. Kennedy’s Near East advisor, Mike Feldman, had invited me to the White House, along with our ambassador, Avraham ‘Abe’ Harman. When I’d arrived, I was told—quite unexpectedly—that President Kennedy wanted to speak to me. He knew I was in charge of Israel’s nuclear program and, according to Feldman, he had a number of questions. Because I wasn’t the head of government, it was against protocol for President Kennedy to take a formal meeting with me. “Instead, I had been escorted through the side entrance of the West Wing of the White House, and around a back corridor to the Oval Office. I was meant to have bumped into President Kennedy along the way, who would then, out of courtesy, invite me to have a conversation,” Peres wrote. Peres then went on to describe his meeting with the young Commander-in-Chief. “Behind his desk in the Oval Office, Kennedy looked stiff and deliberate, and though he had ways of disguising it, I could tell he was coping with pain. He stood up to shake my hand, then offered me a place on the sofa. He sat adjacent to me, in a padded wooden rocking chair. “I told him I was there to purchase the Hawk missiles, which Israel deeply appreciated. But I added we hoped this arms agreement was just the beginning. We needed support—as much as the Americans were willing to give. Kennedy then laid out all of the intelligence the US government had gathered on the nascent Israeli nuclear project. “When he finished, it felt as though there was nothing that the Americans didn’t know about the construction. And yet Kennedy knew that mystery remained, and he was preoccupied with rumors,” Peres remembered. 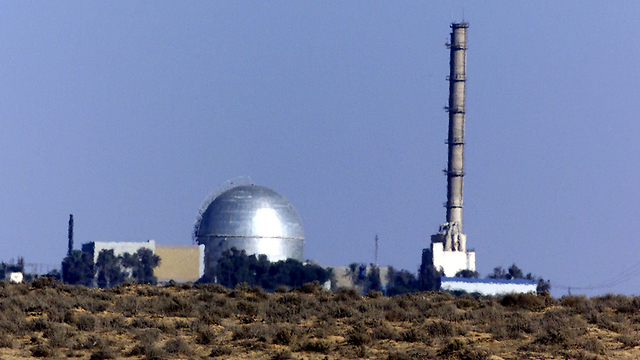 This ambiguity was—and still is—Israel’s official policy regarding its nuclear capabilities. Peres explained exactly why. “The existence of Dimona may have increased our enemies’ desire to destroy us. But the suspicions it generated stole from them the belief they could overpower us. Over time, we learned there is tremendous power in ambiguity. By the 1970s, the conventional wisdom among leaders in the Arab world was that Israel possessed nuclear weapons. What they lacked in evidence, they filled in with rumors. We did nothing to confirm such suspicions, and likewise nothing to dissuade them. Believing Israel had the power to destroy them, our enemies one by one abandoned their ambitions to destroy us. Doubt was a powerful deterrent to those who desired a second Holocaust. In 1995, Peres—then the foreign minister—arrived in Cairo for a meeting with his Egyptian counterpart Amr Moussa. “We’d come to know each other well over the years, and after a lengthy conversation, he raised an issue still clearly on his mind. ‘Shimon, we are friends. Why don’t you let me go have a look at Dimona? I swear I will not tell anybody,'” Peres said Moussa told him. Innovation was well-known to be one of the pillars of Peres’s worldview. Contrary to popular belief, however, that bug accompanied him throughout his entire life and not just during his twilight years. “Peres spearheaded the vision of the ‘startup nation’ as far back as the fifties and sixties,” said Ayelet Frish, citing the “golem” story as an example. The “golem” was one of Israel’s very first self-manufactured computers. It took up three gigantic rooms in the Weizmann Institute of Science in Rehovot and required an entire crew of engineers and scientists to operate. The year was 1963 and, save for some technological fanatics, nobody really knew what a computer was. One of those fanatics was Deputy Minister of Defense Shimon Peres. When he visited the Weizmann Institute that year and saw this clunky monstrosity, he immediately realized what he was seeing was a vision of the future. Peres vividly recollected his thoughts on the computer. “This is what the army needs, I thought—one computer could replace one thousand soldiers and give us more data than they alone could gather. I spent many days and nights with the group that managed the computer, learning how it worked, and how it might work on behalf of the military. I returned to the ministry thoroughly convinced of its value, insisting we purchase one of our own. 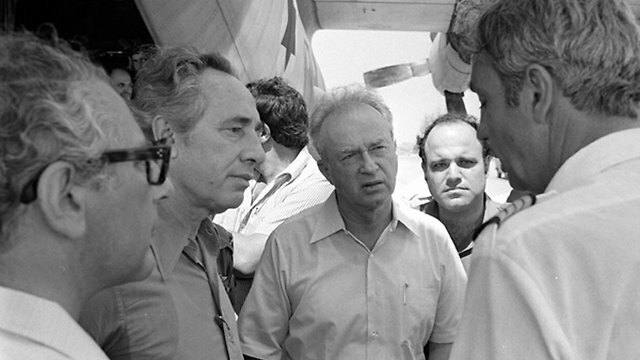 When an Air France flight was hijacked and rerouted to Entebbe, Uganda in July of 1976, Peres was the minister of defense in the government of Prime Minister Rabin. 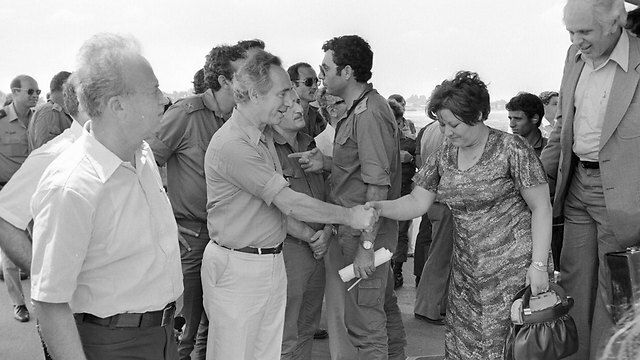 In the chapter dedicated to Operation Entebbe, Peres described the meeting in which he asked security establishment officials to present him with a plan to extricate the hostages. “We have to use our imagination, and examine any idea, as crazy as it may seem,” he insisted to the assembled army men. “We have no plans,” one of them responded. “Then I want to hear the plans you don’t have!” he replied. When the meeting adjourned, three alternative courses of action were formulated. “The first came from (IDF chief of operations) Kuti Adam, who argued that if we couldn’t rescue the hostages in Entebbe, we should try to get the hostages to come to us. If we could convince the hijackers to fly to Israel—perhaps in the belief we would participate in an exchange of hostages for prisoners upon their arrival—we could conduct a raid similar to the one we’d executed so successfully with the Sabena flight. “It was a creative approach, to be sure, but it assumed we had leverage where we likely did not. Surely the terrorists had chosen Entebbe for a reason—not only because of its distance from Israel, but because they had the support of Uganda’s president Idi Amin, who we knew had greeted the terrorists as ‘welcomed guests.’ It seemed implausible they would give up such an advantage. Besides, the Sabena rescue operation had been widely publicized; it was no longer a secret playbook. “The second approach, proposed by (IDF chief of general staff) Motta Gur, assumed the rescue would have to take place in Entebbe. 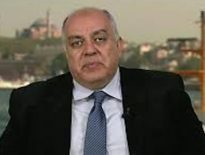 He described a scenario whereby Israeli paratroopers would sneak into Entebbe by way of Lake Victoria, launch an unexpected attack on the hijackers, and remain to protect the hostages. “This plan had the virtue of practicality, in that it described a scenario the IDF was more than capable of executing. But what it lacked, fundamentally, was an exit plan. Once the hostages were rescued, there would be no way to evacuate them. If the Ugandan army chose to respond, it could surely send a force large enough to overpower even our finest commandos. “The third approach was by far the most fantastic in terms of imagination. Maj.-Gen. Benny Peled, who was the commander of the Israeli Air Force, suggested that Israel conquer Uganda—or at least Entebbe itself. Israeli paratroopers would temporarily occupy the city, the airport, and the harbor, after which the hijackers would be attacked and killed. Having secured the area, the air force would land its Hercules military transport plane at Entebbe airport and use it to bring the hostages home. “On its face, the plan seemed preposterous. Gur described it as ‘unrealistic, nothing but a fantasy.’ The others agreed. And yet, of the three proposals, it was the one that had me most intrigued. Aside from its scale and ambition, it struck me that there was nothing about Peled’s plan that was disqualifying. Unlike Gur’s plan, this one included a strategy for evacuating the hostages. And unlike Kuti’s plan, it didn’t require us to manipulate the terrorists into acting against their interests. Indeed, when the meeting was over, Peled’s plan was the only one I hadn’t dismissed. Among the alternative operational courses of action weighed, for example, was one suggesting parachuting forces into Lake Victoria, which was disqualified when it was discovered the lake was infested with alligators. 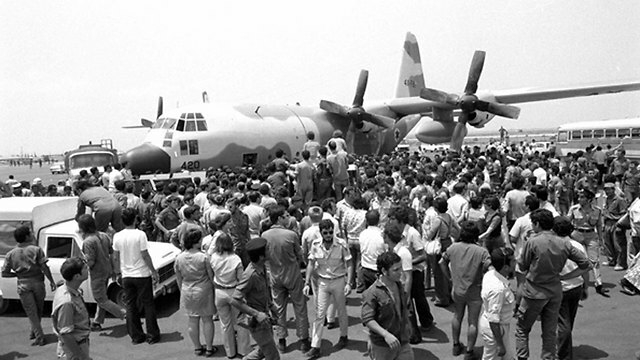 The IDF never received orders to occupy Entebbe, of course, but the rescue plan that was eventually approved by both Prime Minister Rabin and Peres was arguably no less daring. Nevertheless, the moment Peres was informed the Sayeret Matkal commander Lt.-Col. Yoni Netanyahu was killed during the operation was one of the hardest of his career. It came only shortly after the announcement saying Israeli Air Force planes took off from Uganda with the hostages in tow. 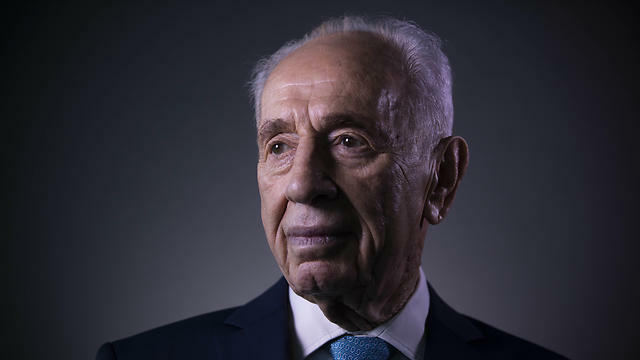 “I returned to my office and, at last, planted myself on the couch, ready to catch the first sleep I’d had in days,” Peres wrote of the moments leading up to the announcement. “I heard a rustle at the door, and opened my eyes to see Gur standing in front of me. The last time I saw him, he was smiling and cheering. Now his face was sullen and sunken. It was the face of a man who had learned something tragic, but couldn’t find the words to share it. A year after Peres’s passing, his office in the Peres Center for Peace and Innovation by Jaffa’s shore continues ticking as if its occupant only just stepped out for a moment and is expected to return in no time. “I can just envision my father stepping into the office now, loosening his tie, sitting down in the chair and carrying on working as if he’d never left,” said Chemi, Peres’s son. “The Peres family—chiefly his children Tziki Walden, Yoni and Chemi—harnessed themselves to working on the book around the clock, knowing it was so important to their father, in order for the it be completed on the one-year anniversary of his passing,” noted Frish. Attorney Or Kornhauser, the book’s project manager, also works around the clock. She flew with Chemi to the US last week in anticipation of the book’s launch and promotional tour. “It’s going to be an international affair,” she said. “Launch events are already booked in San Francisco, Detroit and Atlanta, and that’s just the beginning. CEOs of some of the world’s largest companies intend to purchase bulk copies of the book and give it out to their employees. Former Presidents Barak Obama, George Bush and Bill Clinton received the book and all praised it. It was also given to the United Nations Secretary General and to French President Emmanuel Macron. If Peres were alive today and was interviewed about the book, what do you think the takeaway quote would be? “He would have said: ‘The book is behind us now. It’s in the past. Let’s talk about the next project; the future,'” Frish and Kornhauser answer almost simultaneously.